Hello there! 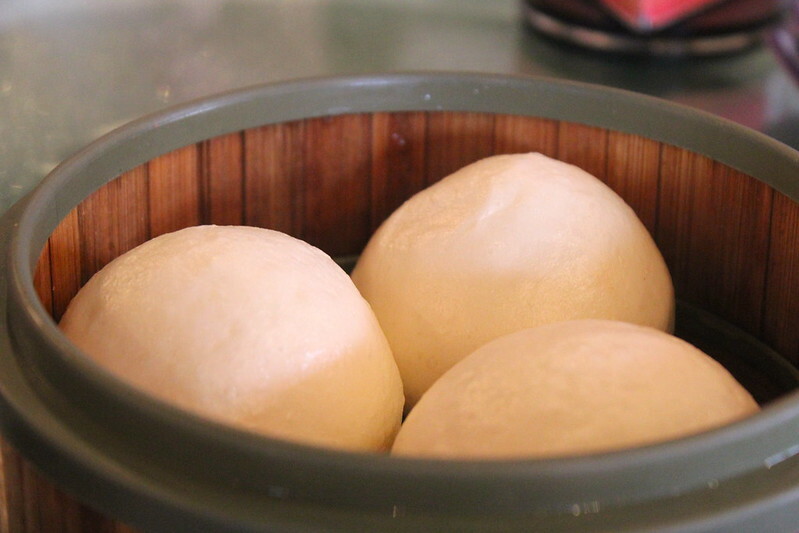 I told you I was going to be back with another Yumcha post! It seems like I’ve been eating out a lot these days. My only reason is that I need to be serious for a few weeks for assignments soooooo I’m just prepping myself for the hibernation. That’s okay, right? First off, I think this place looks grand. 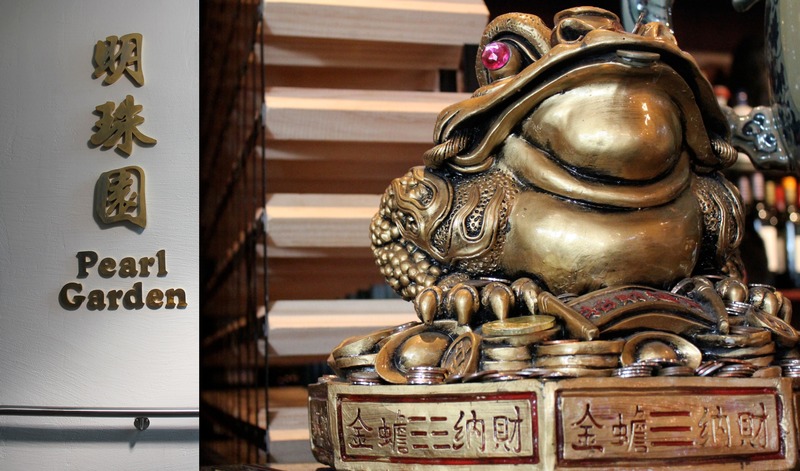 I’ve only been to a few Chinese restaurants and this is probably the one that paid lots of attention to aesthetics. I don’t get the random glass column in the midst of everything ornate and wooden but it’s pretty when the sunlight hits it and has colourful pebbles/glass beads in it. The bar matches the column. Okay. Okiedokies. Food time. My friend actually suggested we come here because she likes the deep fried squid. So obviously we got the squid before anything else. Funny enough my squid-loving friend was the one who came late. The little plate we set aside for our late friend. Aren’t we nice? Hahah.. 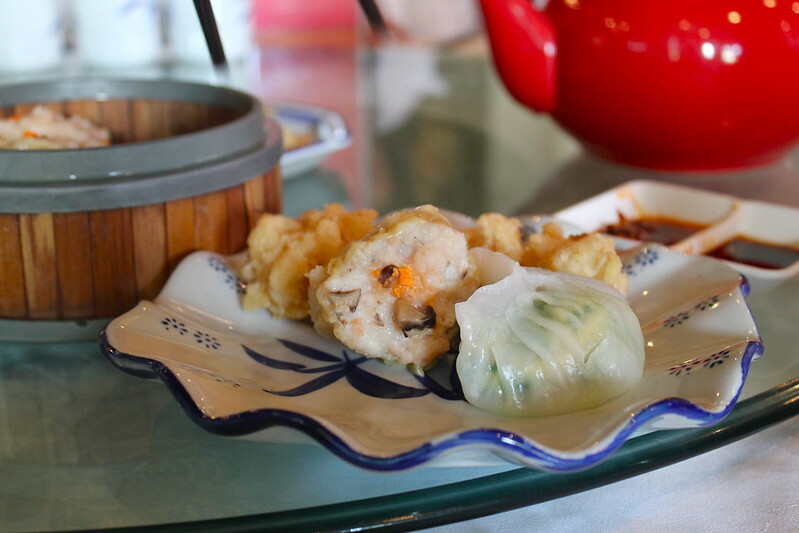 Eating is not complete unless we have some siu mai! 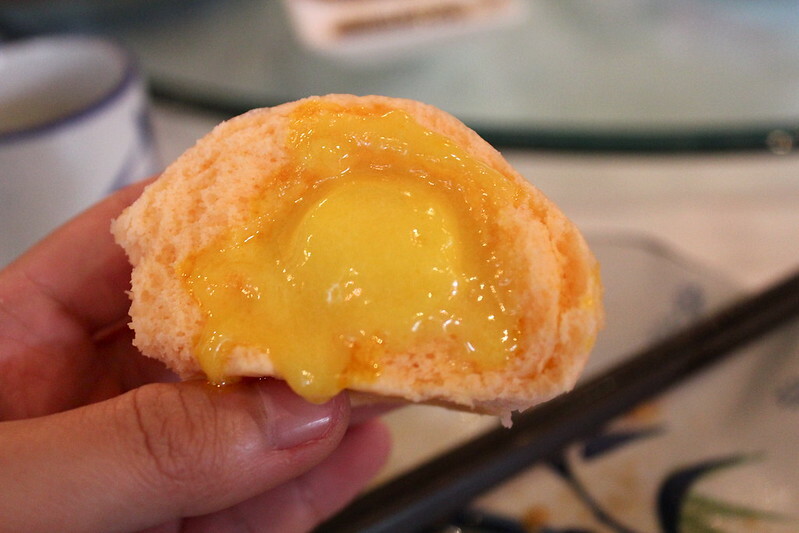 Nom nomss… They look supersized siu mai to me. More more more. Steamed prawn and chives dumplings. 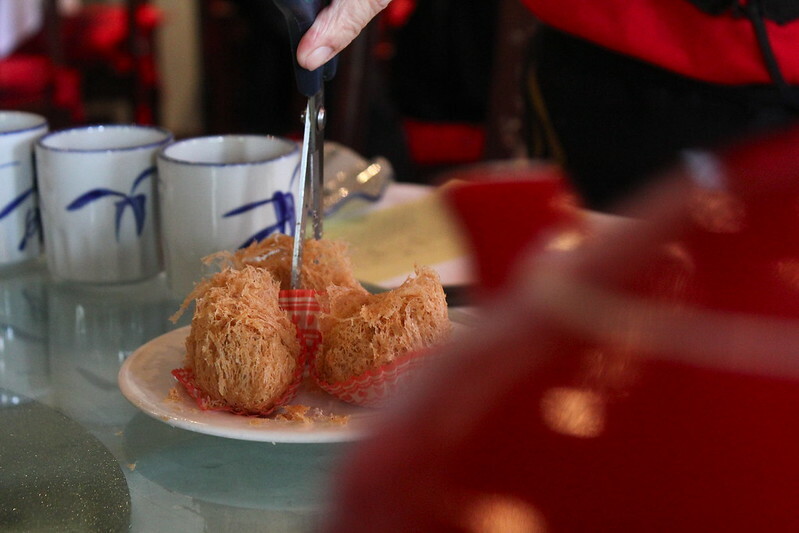 Spying on some deep fried pork and taro puffs. Tea pot get out of the way. 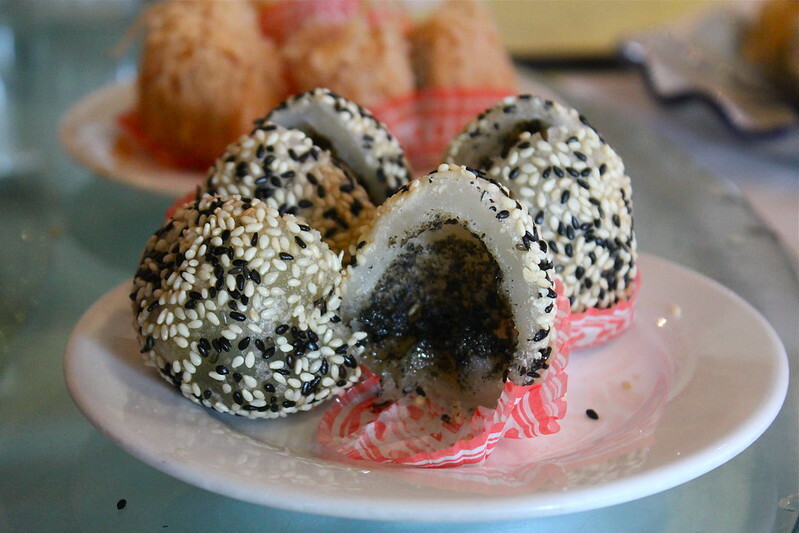 Sesame balls with black sesame paste. Tea break in between munches. 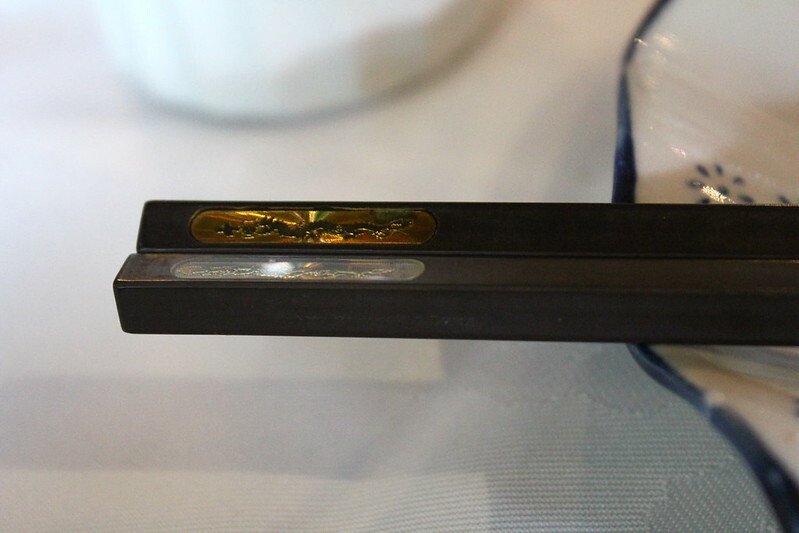 We had jasmine tea, which I really liked. I also like this teapot. It matched my friend’s coat, it was her birthday that day. I still can’t believe my friend’s age, Koreans have some kind of fountain of youth thing going on. Shoutout to Hannah! Okiedokies let’s move on to more sweet stuff. Cuuuuuustard bunssss! I just really really like these guys. I need to learn how to make this. Really. 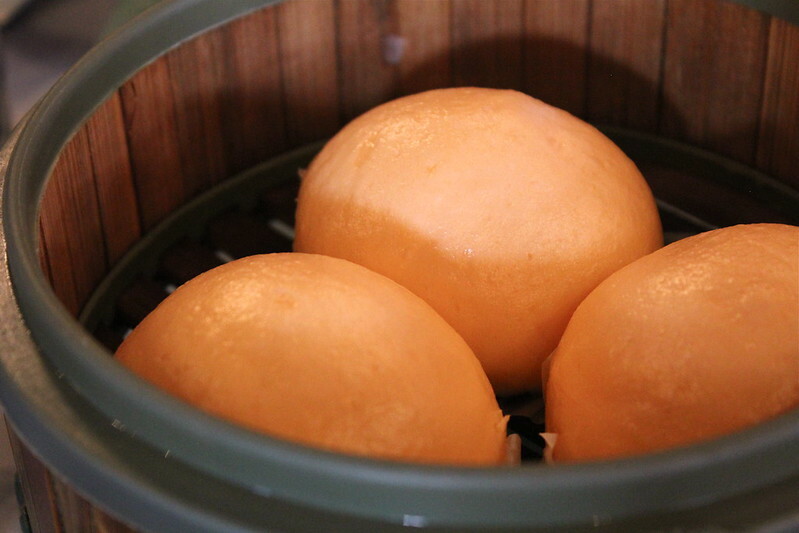 Lotus paste bun. This was the first time I’ve tried it. I didn’t know there was even lotus paste before this bun. Sure I knew that sticky rice is wrapped in lotus leaves, and there are lotus flowers, but paste- made from dried seeds- in a bun? Mmm. So much learning in eating. Hahha. 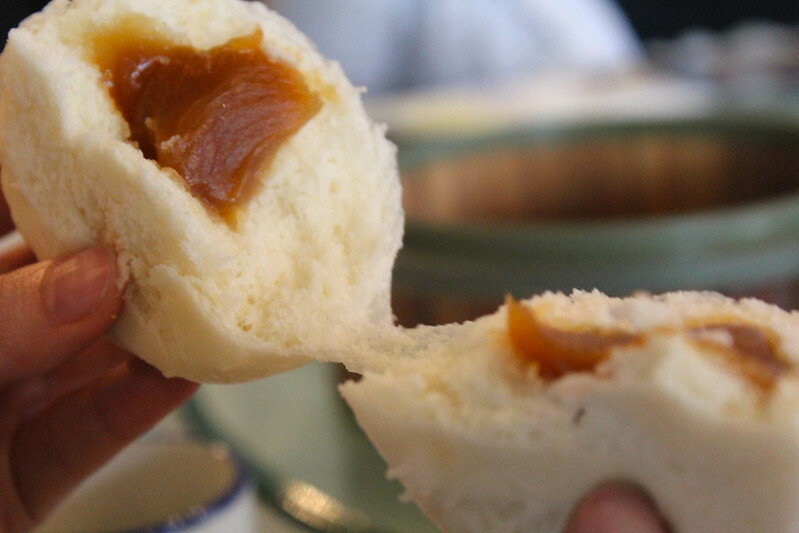 It’s yummy but still it’s custard bun > lotus paste bun. Hahah..
Last one is mango pudding. I don’t know if this is good or not because I have nothing to compare it to. The taste is subtle..barely mango-ey, I think. Finished! As we walked out the place I looked at the food cart parked by the bar. Ooooh what are they? More things to eat next time! Okiedokies that’s all for now folks, see ya! 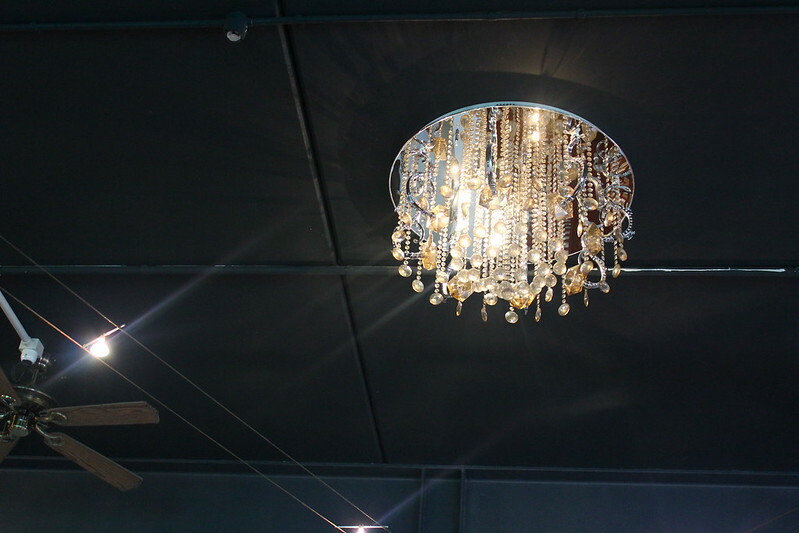 I just finished eating my lunch but reading your blog post made me hungry all over again! 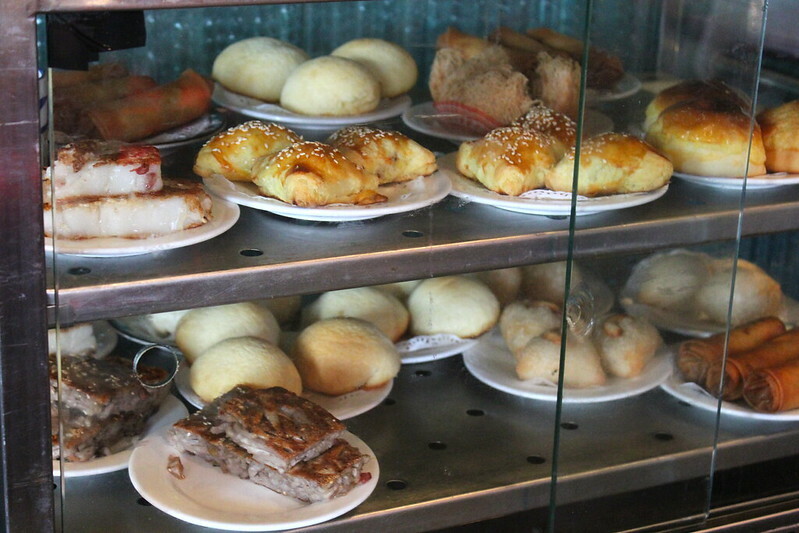 I want to drive over to my favorite dim sum place and start eating everything in sight! Thank you for introducing me to this place. 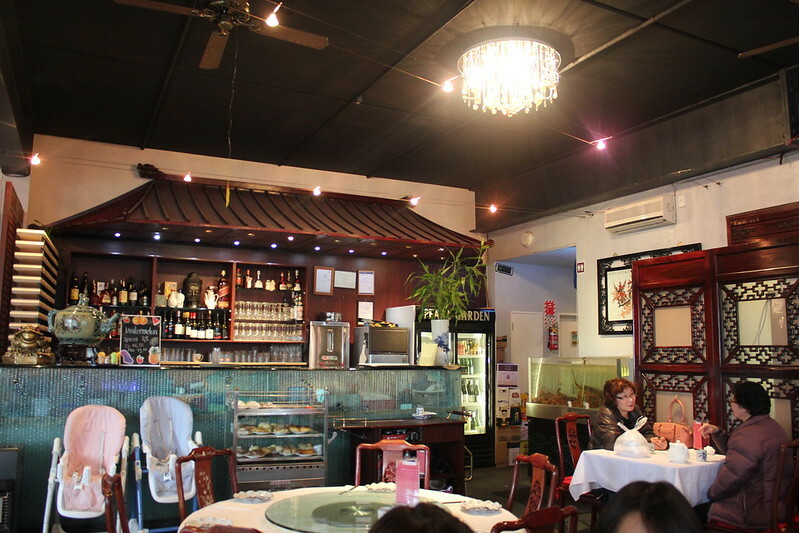 I have had yum cha in Newmarket many times but never stumbled across this place. I guess because it is on the first floor. Did you go during a non-peak time? 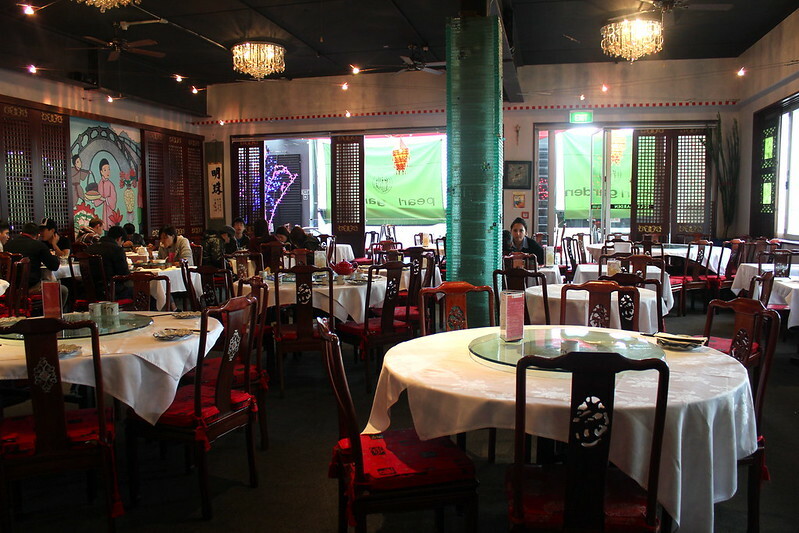 It looks strangely empty compared to the yum cha restaurants I am used to which usually have a queue for tables. 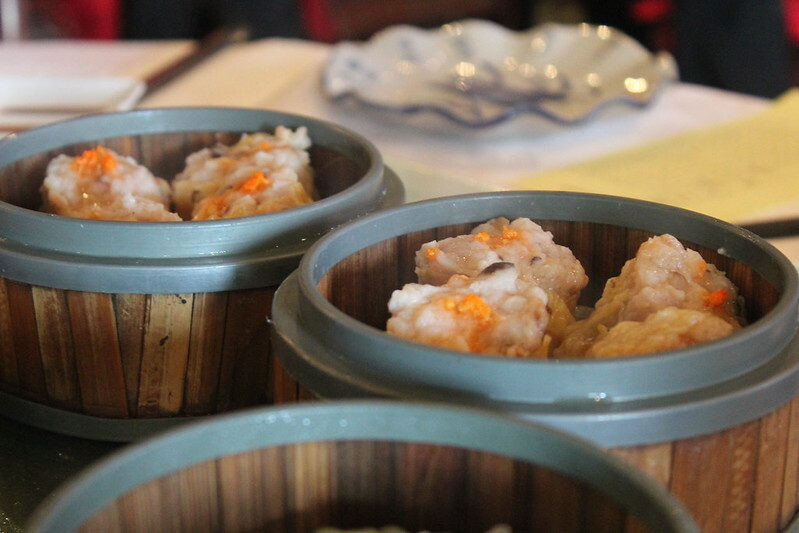 I adore siu mai, my favourite dim sum for sure. 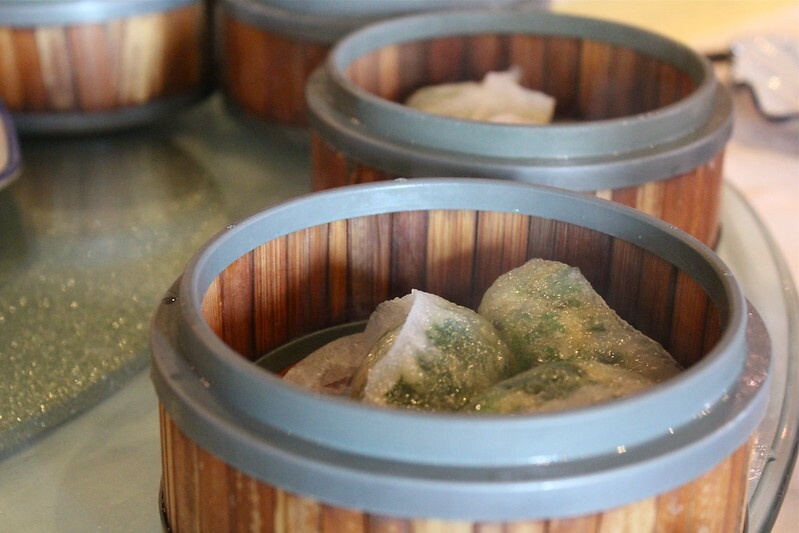 I agree, no yum cha is complete without siu mai. 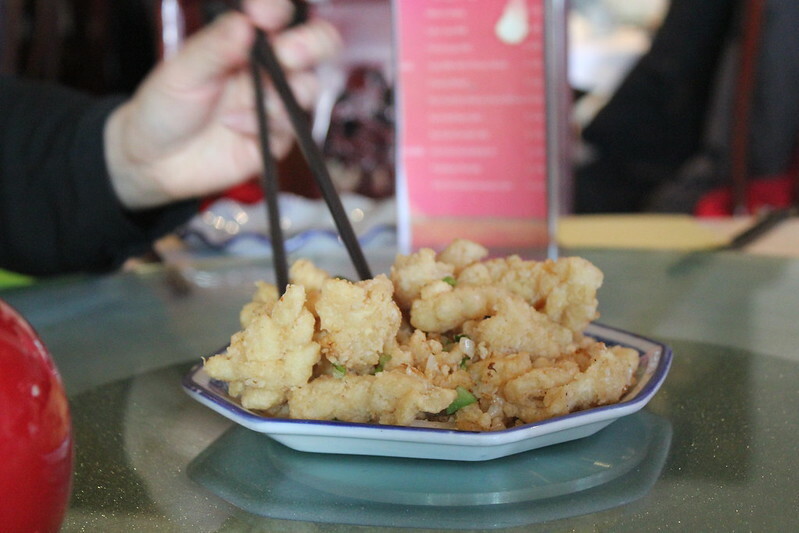 Oooh which place in Newmarket have you gone for Yumcha? Yeah if my friends didn’t tell me about this I would’ve missed it for sure, with all the boutiques around. I took the photos towards the end of lunch hour – maybe almost 2, that’s why it looks empty haha. It was also a thursday. My friends usually book ahead of time so I can’t really compare queuing and such. We were also allowed to pay separately- my friends say most yumcha has a one bill per table kinda deal. 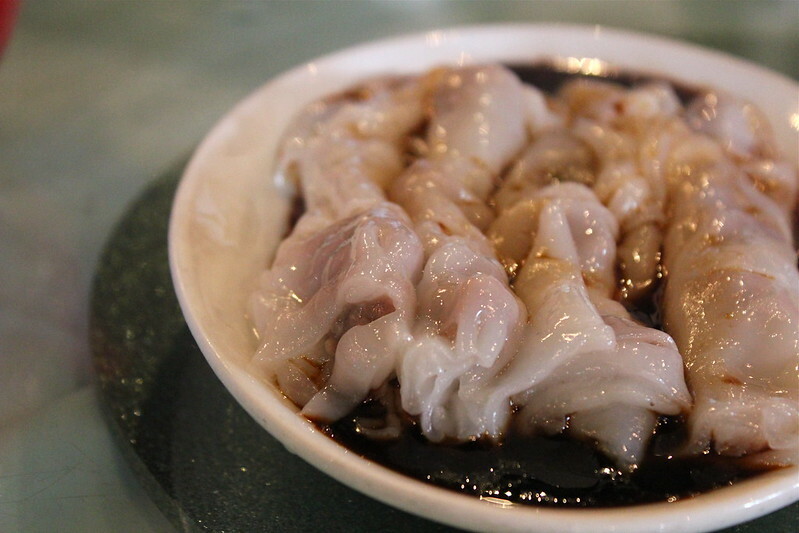 But yeah siu mai looove. I only ever go to yum cha in the weekends so that makes sense. I would love to go when it’s not so busy. 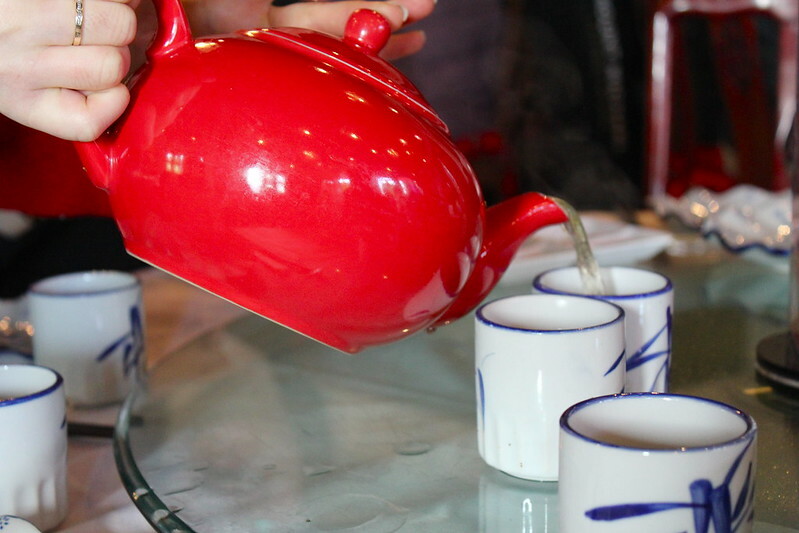 It might be more leisurely 🙂 If I am going to yum cha with family, one person will pick up the bill, if with friends, I always bring cash. So many places don’t split bills these days. I guess Sun World is the one go to most as the other two across the road have both closed now. My parents on the Shore so they like to go to one in Birkenhead.